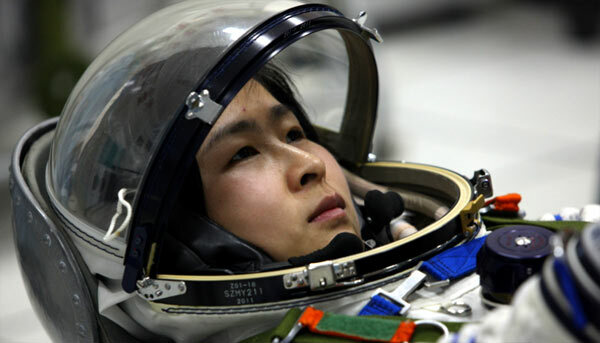 Astronaut Liu Yang, one of China's two female reserve astronauts and a former air force pilot, will become the country's first woman in space as she and two other astronauts will board the Shenzhou IX spacecraft and lift off at 6:37 pm on Saturday from the Jiuquan Satellite Launch Center, announced the country's manned space program. She will be joined by Jing Haipeng, a veteran astronaut who was in the three-day Shenzhou VII mission in 2008, and Liu Wang, a new face to the public. The three astronauts will carry out the country's first manned space docking mission that is an important step in the lead-up to building a space station by 2020.